I just came across a brand new mod modern baby shower invitation design that I fell immediately in love with and I think you will too. The Ranunculus floral design and the choice of font gives them a vintage feel and yet they are totally today. All of the items in this adorable collection feature a floral umbrella and the invites also have a matching carriage in the design. Best of all the artist who created them has generously shared them in several different colors making it easy for you to choose the one that's perfect for your expected little one whether it's going to be a boy, a girl, or even if it's just to early to tell or the parents have decided to keep it a secret. 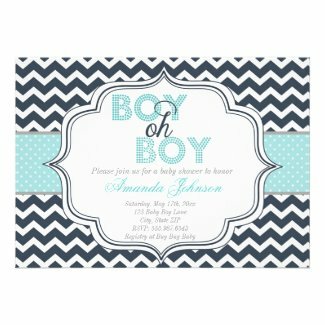 Browse through this gorgeous collection of high quality yet completely affordable baby shower invites and matching stationery now and grab yours before everyone finds them. This design set also includes return address labels, business card-sized mini thank you notes that can be added to favors, shipping labels, RSVP cards and more. Invites measure 5" x 7" and come complete with a white envelope and everything is satisfaction guaranteed. Macarons... Macaroons... No matter how you spell it, these sweet French confections are super cute and the perfect theme for a whimsical yet totally elegant baby shower tea. That's why today's featured invite design features sweet macarons. Depending on which color you select, these will work just as well for a baby boy or a baby girl. Choose mint green if you don't know the baby's gender just yet. Design features an adorable illustration of a pastel blue cup of tea and three French macaron cookies, one vanilla, one chocolate and one pastel blue. Design features an adorable illustration of a pink cup of tea and three French macaron cookies, one vanilla, one chocolate and one pastel pink. Design features an adorable illustration of a mint green cup of tea and three French macaron cookies, one vanilla, one chocolate and one mint green. This design would also work perfectly for a Sip and See baby shower! Of course, if you choose to use these you'll be expected to serve a tasty warm beverage and an assortment of sweet macarons. So... what do you think? 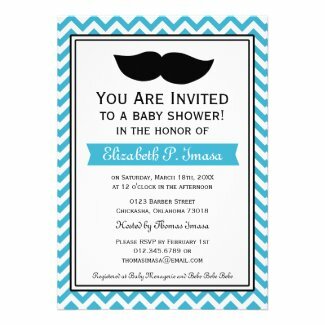 Did you just find your favorite baby shower invites? Share your thoughts in the comments here.